Dr. Joshitha Naik is an obstetrician and gynecologist in in Apollo cradle Jayanagar 5th Block. has an experience of 14 years in this field. 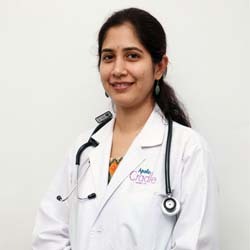 She completed MBBS from J.S.S Medical College, Mysore in 2001, DNB from M S Ramaiah Medical College, Bangalore in 2003 and DGO from M S Ramaiah Medical College, Bangalore in 2004.She is a member of Karnataka Medical Council. She handles all kind of high-risk delivers and gynec procedures. Apollo Cradle remains my hospital of choice for ever. I am glad to take the privilege of having my baby delivered there. I am overwhelmed with the services and especially the food. All credit to my Dr. Joshitha Naik for support and care. Apollo Cradle has delivered to us services of high quality. My delivery under Dr Joshitha Naik was absolutely perfect. There was no scope of discomfort as the team ensured all my needs were met. The support staff was accommodating, the nurses helped me and supported as well, they are friendly and very approachable. Dr Naik is highly qualified and understanding. She is trained in her field and I trusted her completely. Great service. I was admitted to Apollo Cradle, Jayanagar under the care of Dr Joshitha Naik for my delivery. My experience at Apollo Cradle was pleasant. Dr Naik is friendly, knowledgeable, and experienced. She handled all my queries well. The nurses are caring, kind and diligent as well. I did not face any problem during my stay. I would definitely recommend Apollo Cradle to my friends and family.